If your not interested in learning the fine art of fuel valve lapping, then I suggest you do what I did and call up Carl’s Cycle Supply. 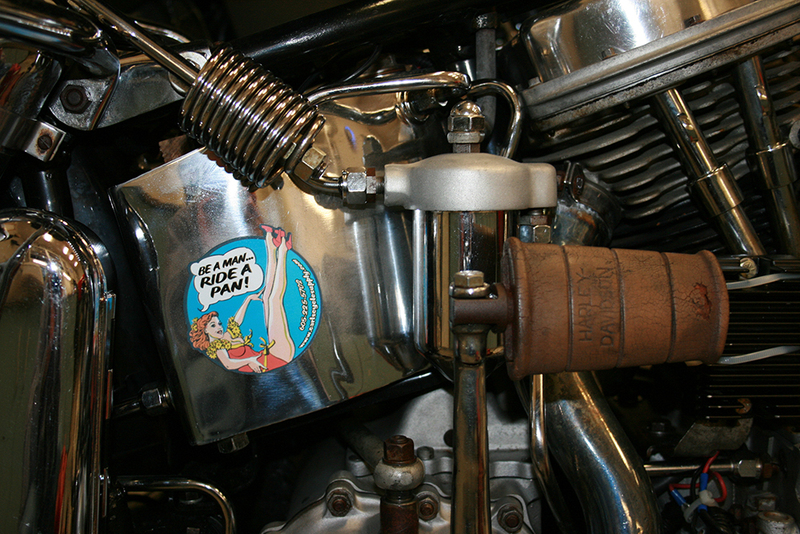 They have a new fuel valve that uses a tip made from Peek. For those chemistry buffs, Peek, which is short for polyether ether ketone, is a semicrystalline thermoplastic with excellent mechanical and chemical resistance properties that are retained to high temperatures. The bottomline is that this tip will seal better and last longer than the original without the need for periodic lapping. 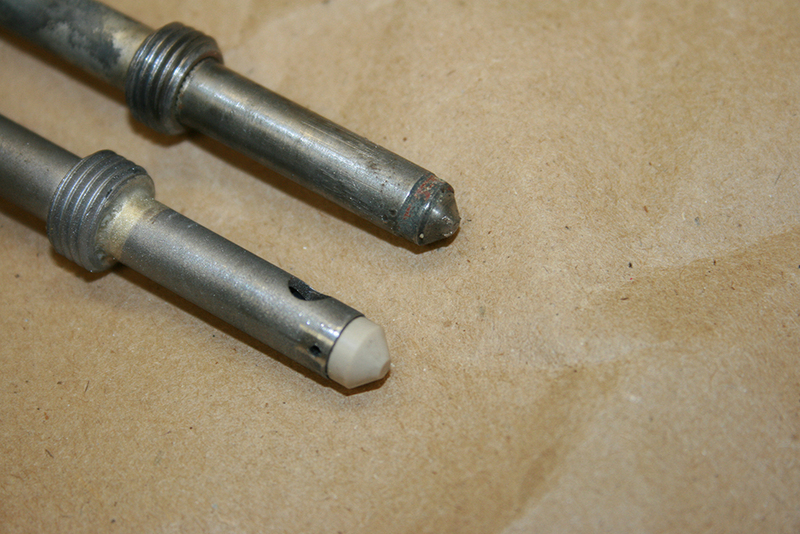 Besides the difference in tips, the two fuel valves are identical in construction. Every hole, thread, etc, matches up perfectly to the original. 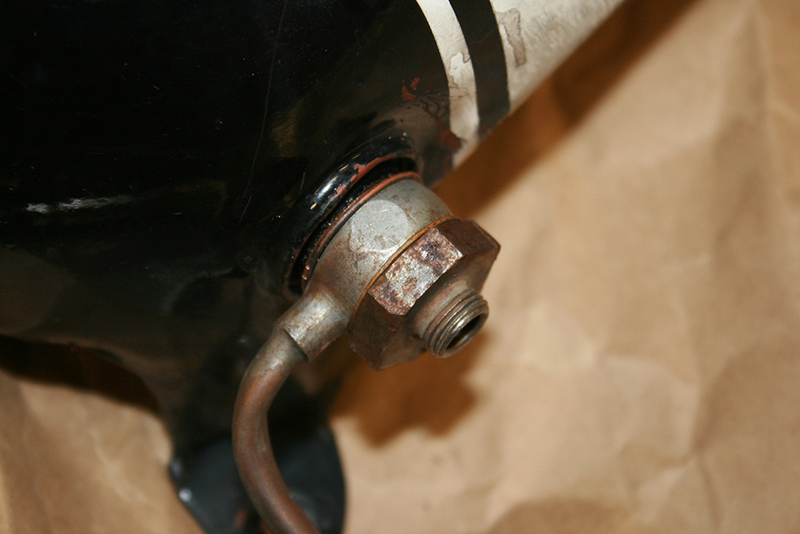 To disassemble your old fuel valve, first use a 1″ socket or wrench to remove the lower tank fitting. Next unscrew the knob that operates the valve, at the top of the tank. My bike has an “accessory knob” which isn’t listed in the parts manual but is held onto the fuel rod via a short threaded stud. The factory set up just uses a single screw. 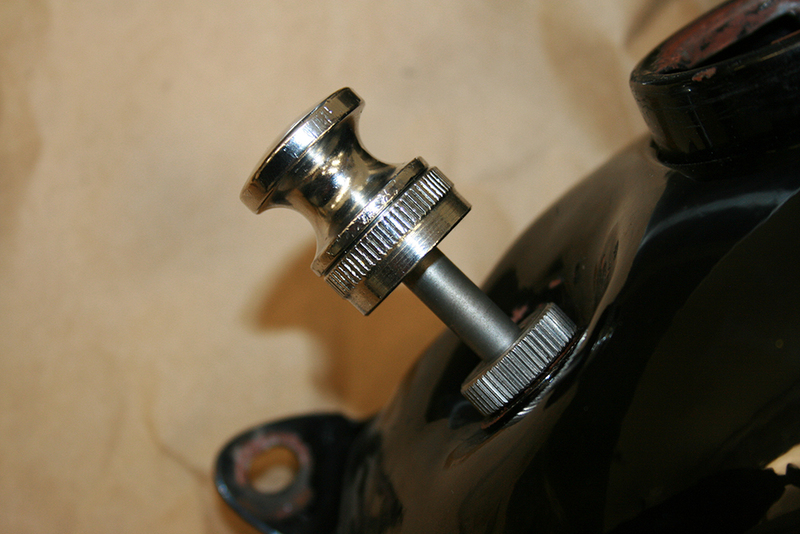 Whatever set up you have, you first need to unscrew the accessory knob or single screw. Once either of these is removed, you will be left with two knurled fittings. 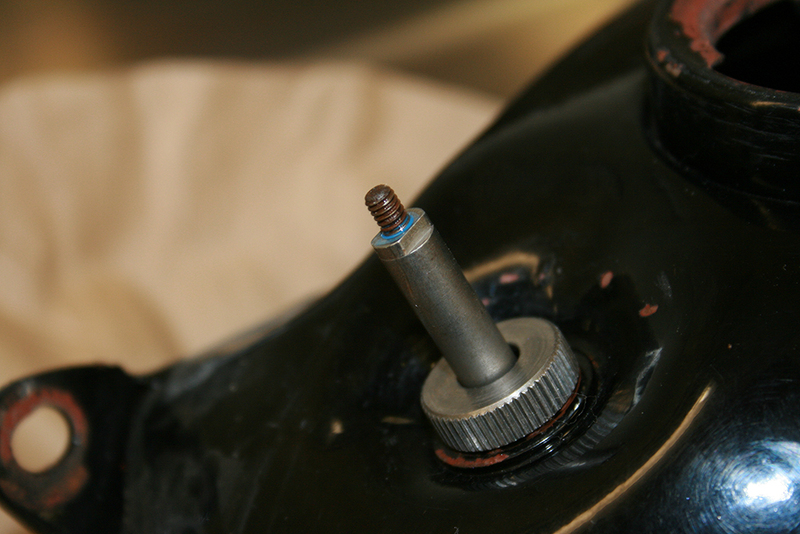 The top fitting is pressed onto the end of the fuel rod and should pop right off. The lower fitting is screwed into the tank and may need some careful persuading with a pair of pliers to loosen. With the lower knurled fitting out of the way, you can remove the spring, washer and seal that are on the top end of the fuel rod. Once all the parts are removed from the top end of the fuel rod, it can be dropped out of the bottom of the tank through the hole left by the lower fuel fitting. To install the new fuel valve, just reverse the above steps. Take note, that if you have the "accessory knob" there is small length of threaded rod which screws into the end of the fuel rod that needs to be reused. Everything else will be replaced with the parts from Carl’s Cycle Supply, including all the necessary seals. As an added precaution, I used a dab of loctite blue on the threaded rod. I hate to loose that knob on the road! 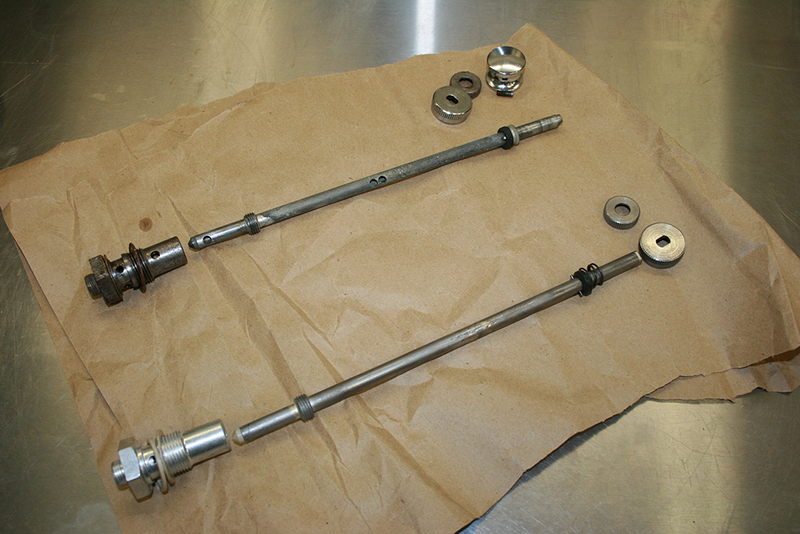 Before installing the new parts, I took a few minutes to compare the new and old fuel valve. My original fuel rod tip, had plenty of wear as well as some pitting. No wonder I was getting the occasional leak.